It is said, “to everything, a season”. Sun no longer warms our plastic cover greenhouse enough for plants to grow without a heater at night. The cycle is over. The extended season is over. Carrots and Swiss chard are harvested from the row cover outside. 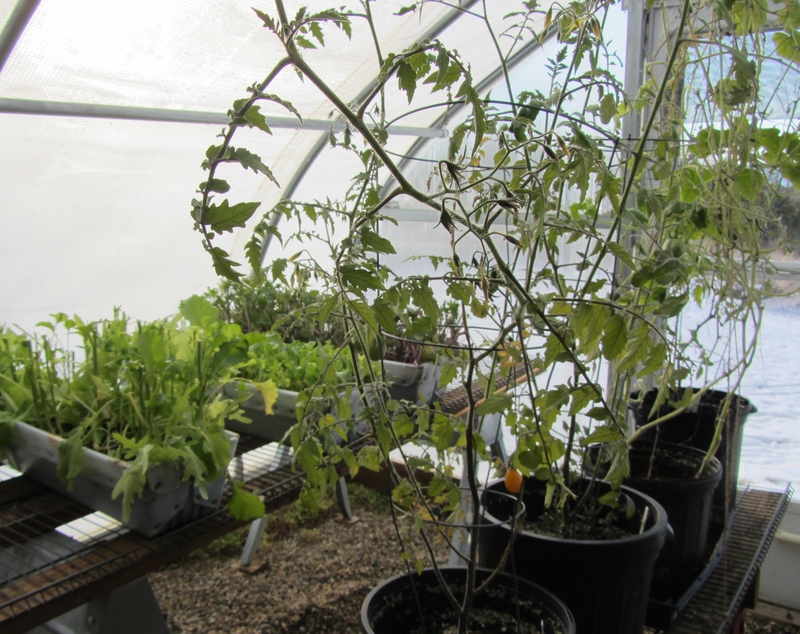 Indoor plants that summered under the trees and transitioned to the greenhouse are now indoors. A favorite two – season container of snack peppers attracted white flies and is now compost. I can’t ignore the snow outside and frigid winds. But wait. 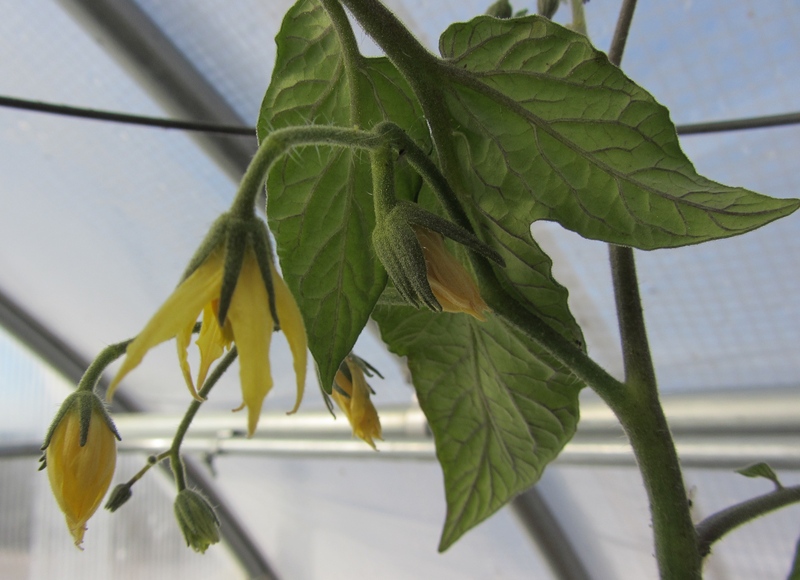 A few late tomatoes brought into the greenhouse to see if they’d mature are blooming and setting fruit. 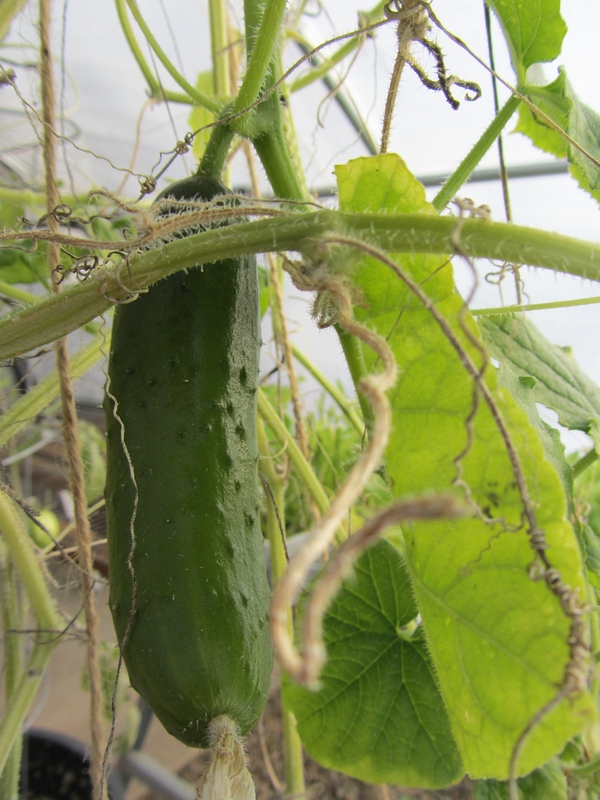 Greenhouse cucumbers that bore since June still have fruit. 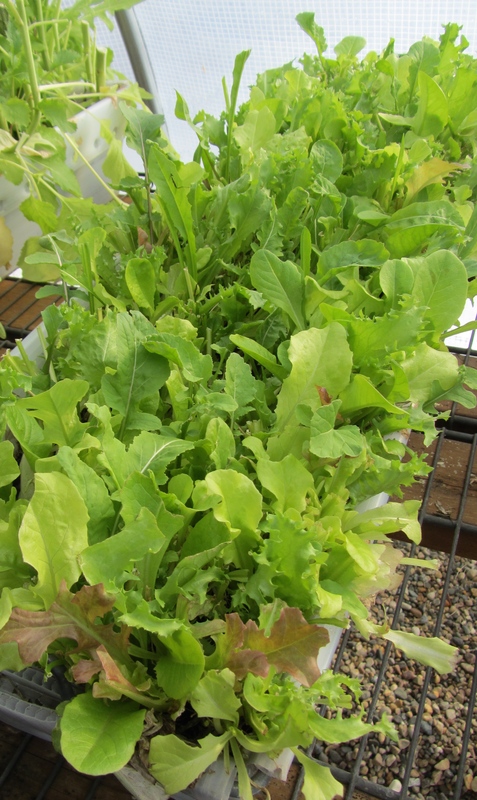 Lettuce is ready for its third cutting. 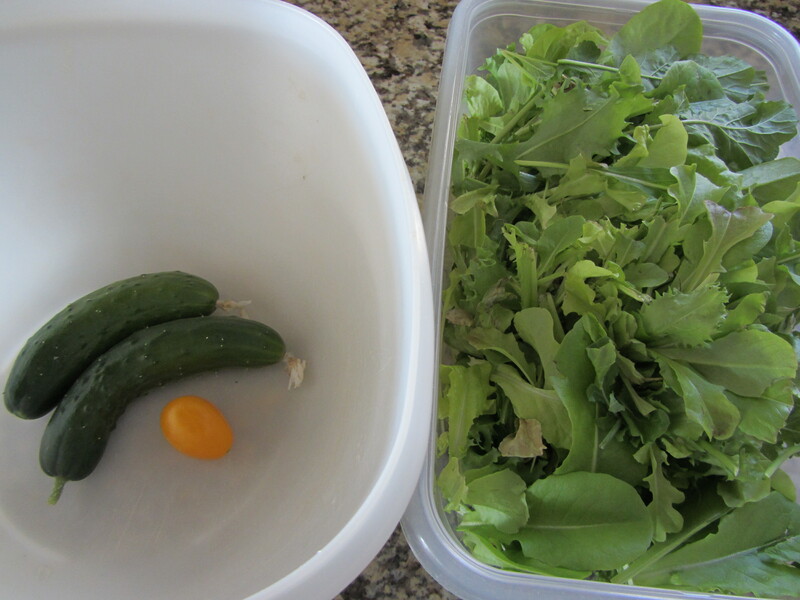 It’s meager by most measure but makes a fine salad to celebrate a good year. Thank you for your visit to Plant Exchange today. Comment if you wish. “Like us” for our feedback. Enjoy more topics you see on the right side of your screen. Plant Exchange a place to find out about plants of the USDA Zone 4-5a and the people who grow them. We try for weekly posts. Do join us again or “follow us”.